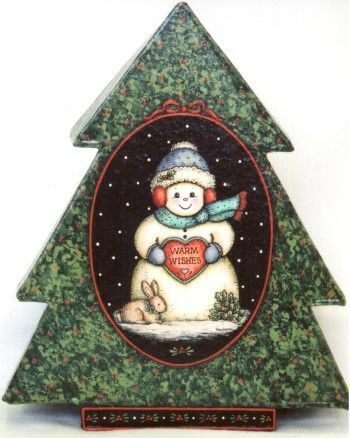 Featuring a snowman painted on a paper-mache tree box measuring 6 3/4” x 8 1/4”, on a a paper-mache rectangle box measuring 6” x 10”, on a paper bag measuring 5 1/4” x 8 1/2” and a bunny on a gift tag painted on 140 lb. watercolor paper measuring 3” x 4”. The designs could also be painted on wood or other surfaces. 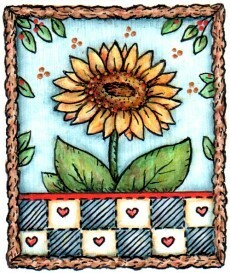 This packet contains: Complete directions, two color photos and one full size pattern page.